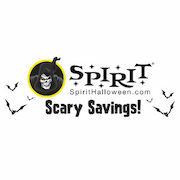 Spend $65 or more at SpiritHalloween.com and your order ships for only $4.99 with coupon code SHIP65 at checkout. They have ninja turtle costumes, $10 off PLUS free shipping! And I need more than one to make my 4 little boys the whole team of ninja turtles! 70% Off summer styles. Online only at catherines.com. Use code: SAVECA.